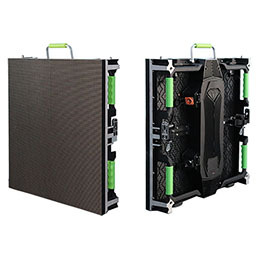 The LED Screen cabinet correction can greatly improve the image quality of the display screen after splicing, and it is relatively efficient in field correction, not limited by time and space, and the cost is low. Therefore, the cabinet correction technology will become an indispensable part of LED Screen manufacturing, and has good application prospects. Due to the dispersion of LED light-emitting tube, attenuation and the dispersion of circuit components and other reasons, LED Screen screen brightness and chroma inconsistent phenomenon, seriously affecting the display quality. In order to overcome the problem of the brightness and chroma nonuniformity of LED Screen, the point correction technology came into being and developed rapidly, it can remarkably improve the uniformity of LED Screen and improve the display quality. According to the application of different occasions, point-by-step correction technology can be divided into two kinds: one is the production line by cabinet correction (cabinet correction); the other is the field of large screen correction (on-site correction). The field correction technology can choose the suitable viewing place for correcting, ensure the LED Screen screen in the field application environment to achieve the satisfactory display effect, but the complex and changeable field environment and the technical support in different places are the difficult problems to limit the field correction. In particular, some foreign orders on-site correction costs and difficulties are relatively large. 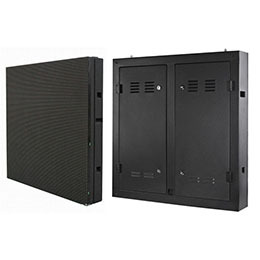 In order to ensure the uniformity of LED screen, reduce the cost of technical support, cabinet correction technology reflects its own unique value. The cabinet correction can greatly improve the display quality of the display screen after splicing, and the efficiency of the field correction is high, which is not limited by time and space, and the cost is lower. Therefore, the cabinet correction technology will become an indispensable part of LED Screen manufacturing, and has good application prospects. cabinet correction is a production line correction, requiring LED Screen manufacturers in the production line to increase the link. Increased the cabinet calibration and simulation evaluation/sampling link LED production line diagram as shown in Figure , The cabinet correction needs to be carried out in the darkroom, which needs to be equipped with a surface array imaging equipment and a colorimeter to measure the brightness and chroma information of each cabinet. In order to ensure that the calibration process of all the cabinetes is carried out under the influence of external environmental conditions, to achieve its brightness, chroma consistency of the goal, the darkroom requires complete sealing, and temperature and humidity for constant value, in the correction process, must be fixed cabinet and calibration equipment position, the cabinet must be placed on the base, to avoid the impact of reflective surface. Similar to the field correction, for each case, the cabinet calibration process includes data acquisition, data analysis, target value setting, correction coefficient calculation and coefficient upload, and also needs the coordination of the control system. It has the following advantages: Arc shaped panel edge,seamless splicing and no angle acquirement,perfect arc-bending panel technology vivid visual effects and no distorition.Double-side 15 degree oblique angle design,support ±15 degree assembly,Sticky tape support seamless connection between panels. Dual power supply & signal input design,one for working,one for backup.Once one input fails,another one will work automatically without switching. The hanles can be turned over to the side of the LED screen,protect the LED and mask from being damaged during transportation or moving. led screen is designed to meet the requirements of a wide range of applications. 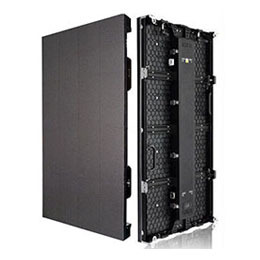 Through thoughtful engineering and craftsmanship, the led screen features a thin, lightweight, high-strength die-casting in a modular design to fit a wide range of simple or complex applications. The unique structural design of led screen has pioneered, patented and perfected the use of die-casting in the construction of LED video wall displays.